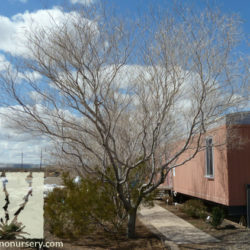 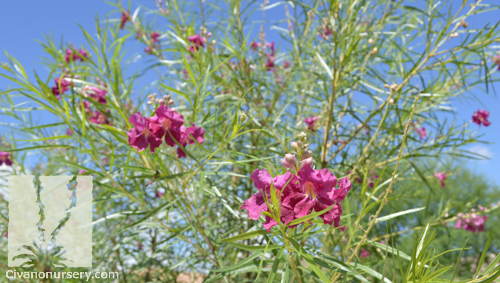 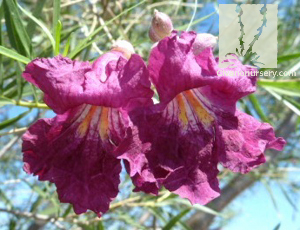 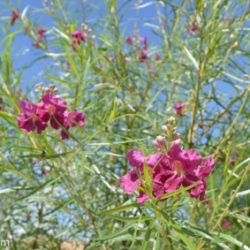 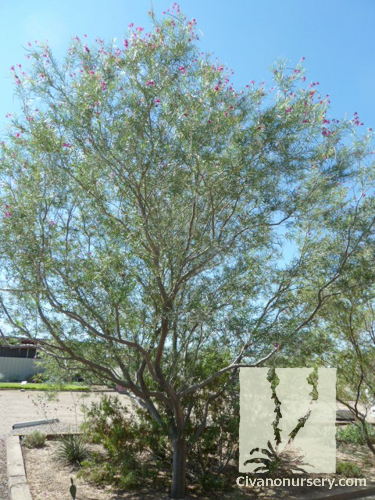 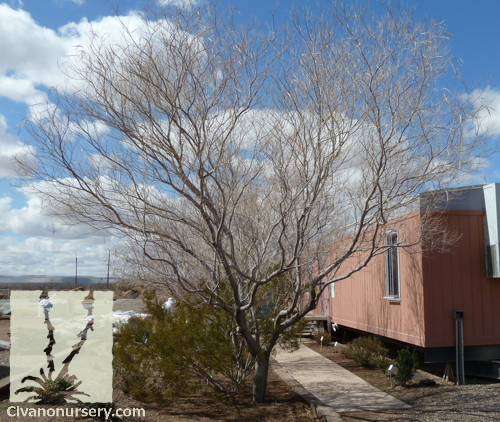 Desert Willow is a gem of a tree requiring little care and gracing southwestern landscapes with year-round intrigue. 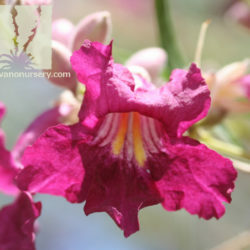 It retains a charming, architectural winter silhouette when the tree is bare, and attracts hummingbirds and butterflies with its profusion of fragrant, orchid-like flowers for the rest of the year. 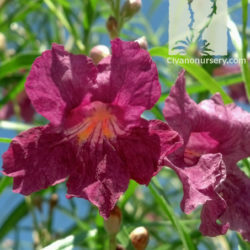 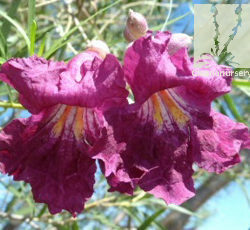 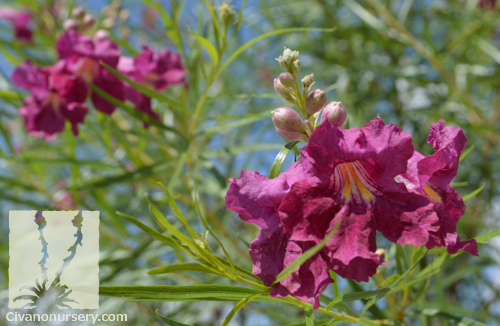 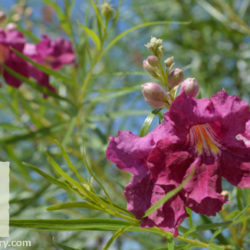 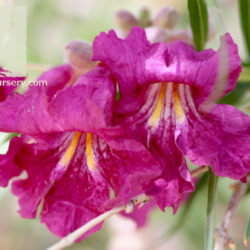 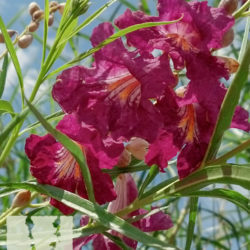 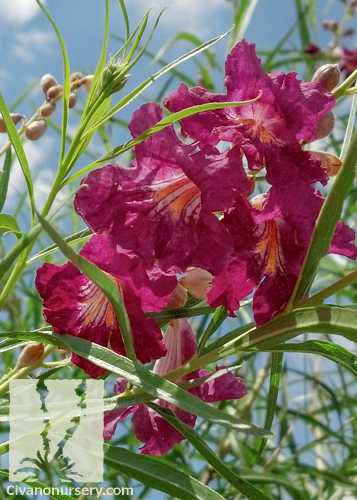 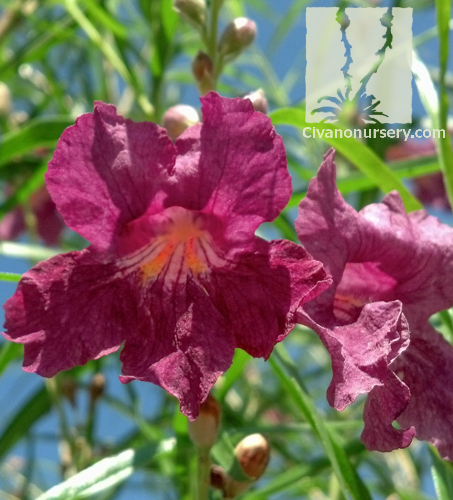 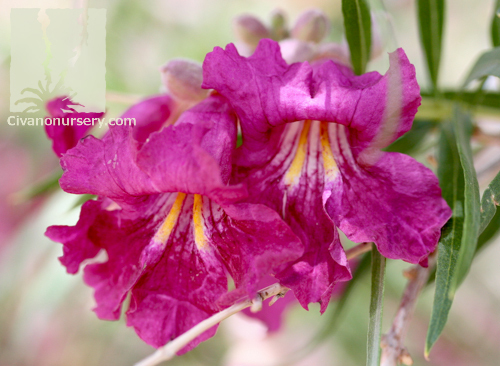 Civano Nursery introduces a new selection of Desert Willow, ‘Sweet Katie Burgundy’. 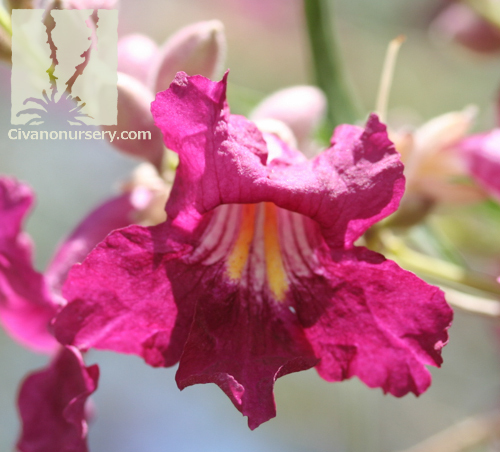 This selection is a fast growing prolific bloomer, producing an abundance of showy burgundy flowers continuously from spring to fall with very few seed pods. 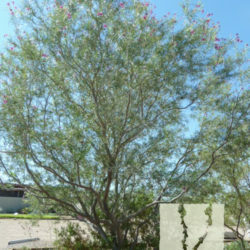 Unlike other Desert Willows, it has a uniform, compact growth habit and, though deciduous, the minimal presence of seedpods and tidy structure give it an exceptionally attractive winter appearance.